Whether your trade show display needs are big or small, we help them all. From small portable table top displays all the way to large free-standing displays that collapse into manageable units, we offer the one-stop shop services with some of the fastest turnaround times in the business (some products in 24-hours or less). In need of bags or trade show giveaways? No problem. Looking to build show traffic with contests or games? We’ve got you covered there, too. 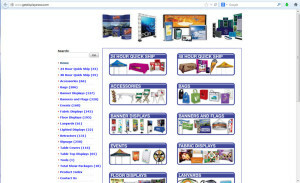 Visit our dedicated trade show website at: www.GetDisplaysNow.com for more details.